The sharing economy has roiled the luxury property and private jet markets. Now, co-ownership is also hitting the high seas. When Belgian businessman Matty Zadnikar (pictured below, right) sold his security firm Z-Safety Services four years ago, he fulfilled one of his life-long dreams: he bought a luxury yacht and spent months cruising the Mediterranean. Harboring in marinas overnight, he not only met others pursuing similar high sea dreams: the 56-year-old Zadnikar also quickly became acquainted with the problems of yacht ownership, he tells finews.asia. 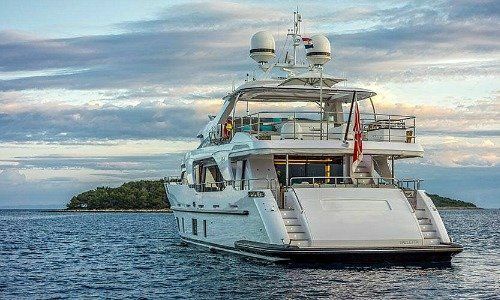 The experience sparked a business idea for Zadnikar, who eventually tired of his sweet idleness on the high seas: why not buy a yacht and share it with several other co-owners? He found Mike Costa (pictured above, left), an American who maintains a fleet of luxury yachts in the U.S. and the Caribbean. Costa had launched his firm, Seanet, 14 years ago after seeing the success of private jet travel firms like Netjets, which sells fractional ownership of private business jets. 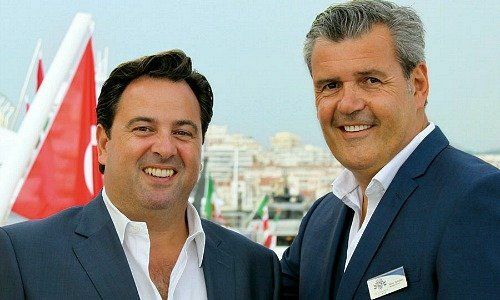 The two agreed last year that Zadnikar would become a Seanet partner and roll out the yachting co-ownership concept in Europe. His experience in providing security services to the oil and gas industry proved particularly useful. «Besides the complete equipment for short- or long-term rentals, my previous firm provided highly-qualified and experienced security staff. All of this experience was extremely useful,» Zadnikar says. A 30- to 40-meter luxury yacht – Zadnikar exclusively prefers Italian boat-builder Benetti – costs roughly 10 million Swiss francs, without maintenance or crewing costs. Seanet’s co-ownership model allows up to four co-owners to share all the costs that a luxury yacht entails. 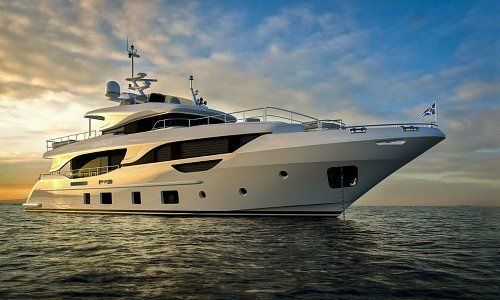 The firm takes care of the yacht’s maintenance, and of managing the asset. A four-person crew, including a private chef, is ready to go at a moment’s notice. Zadnikar himself bought 25 percent of Seanet’s first European yachts in Croatia/Montenegro, Sardinia, Côte d’Azur and the Balaeric Islands. Europe’s boating seasons begins early in April and ends in October. Depending on their share, co-owners can spend between two and six weeks on the yacht in peak season and at least five outside of the peak. On-board stays are coordinated through an online reservation system. If a co-owner is traveling with as many as eight other guests, Seanet «personalizes» the yacht beforehand with touches including own bedding and toiletries, paintings or sculptures, exercise equipment and other preferences like a particular vintage of wine or cigars. The personal touches are meant to give co-owners the feeling of owning a yacht – but without the capital outlay and hassle. Another perk of yacht co-ownership is the option to trade in time shares in, for example, the Med, for another Seanet yacht in the Caribbean. «It’s an inexpensive way to experience new destinations, new waters, coasts and bays,» Zadnikar says. A one-quarter yacht share already covers its costs with a two-week stay in peak season, he says. If co-owners want to offload their stake, Seanet unwinds the holding and sells the share. «The idea of sharing assets like villas, yachts and private jets and giving the maintenance to outside professionals is an idea that will dramatically increase in coming years,» Zadnikar says. All the firms boats fly under the Maltese flag, in order to take advantage of low corporate tax rates and business-friendly legal requirements. «The next generation will increasingly co-purchase. The necessity of sole ownership is abating as long as there is an alternative,» says Zadnikar, who has given himself three to four years for Seanet to turn a profit in Europe. If Seanet’s expansion goes according to plan, Zadnikar would like to expand the firm into Asia. (When) Do Startups Need Lawyers?